Another name used for this stupa is, “Suthigara Chathiya”. 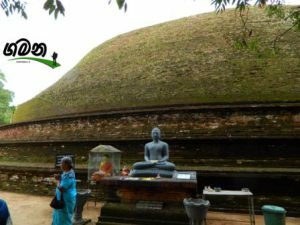 In sinhala “suthigharaya” mean the place used for a birth. 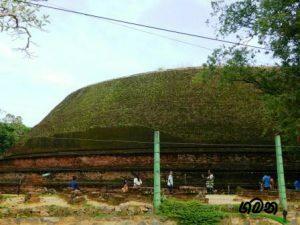 According to the history Queen Rathnavalie used this place to give the birth to her baby, who was later become King Parakramabahu I (Barakramabahu the Great) who ruled in the Polonnaruwa Kingdom era (1153-1186 AD). 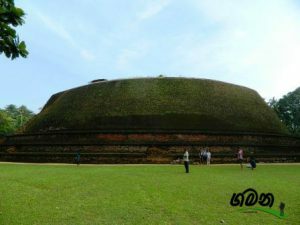 With the excavations done by the Archeological Department of Sri Lanka, another small stupa had found inside of this large stupa. That stupa is not in the center of the large stupa and hence possible to view from the opening at a side of the main stupa. According to the shape of the stupa some may think the construction works of it had being completed partially. But there is a model of the stupa which has being found by the excavations. That model shows the real shape of the stupa which is not common in the country. Another important archaeological asset found by the excavations is the “Eth Pahana” (eka a lamp having a shape of an elephant). It provides the engineering excellence of the people who lived in that ancient era, with the hydro engineering principles used in that lamp.  To reach this locations, you have to come to the Nelumdeniya junction in Kandy – Colombo main road. From that junction turn to the Thunthota road and continue for about 3 km. This place is easily reachable by a car.